When you parachute onto the tropical island this week, you might notice something that shouldn’t be possible in the climate: snowmen. 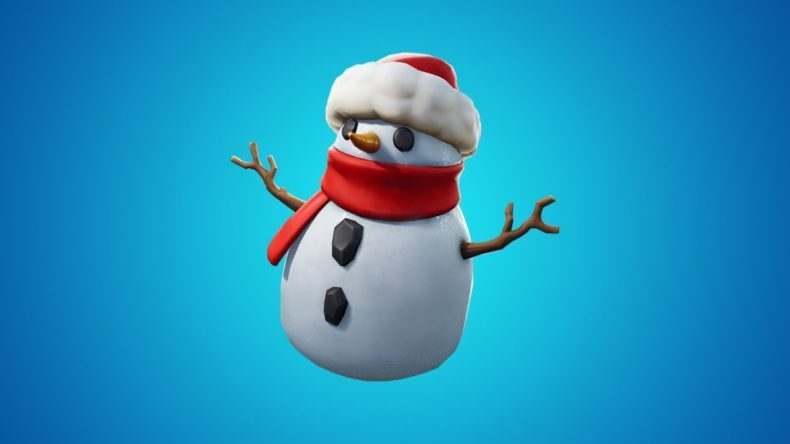 Why are there snowmen populating Fortnite, and what are their plans? When the Sneaky Snowman feature is activated, hitting Secondary Fire will encase you in a snowman disguise. Won’t you kind of stick out? In ordinary circumstances, but the genius behind this update is that decoy Sneaky Snowmen can be placed around the area with Primary Fire. Your competitors won’t know which one contains an actual person…until you surprise them. What if they choose the right target first? Disappointing, but survivable….the Sneaky Snowman acts as a shield with 100 Health, so you should be able to get away, and become a snowperson another day. While you can move in the snowman (though it’s not tactically advised), you cannot build or use items while wearing the disguise. Fortnite’s latest patch is full of other wintry goodness as well. Check out the Epic’s full list of notes below the video. Added addition dates for the Explorer Pop-Up Cup.